Home » Which is Best for Your Home, Steel or Timber Frames? One of the most common ways in Australia to construct a house is by using timber frames. This is because it is a fast and affordable method of construction, timber is light-weight and builders/ trades people are familiar and comfortable with this type of building. Great Living Homes are two-storey homes specialists and are shaking up the building industry by using steel-framing to construct their homes (though the client does have the choice of timber or steel frames). 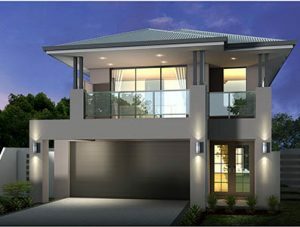 There are not many two storey home builders Perth that are willing to use steel-framing because of the myths that steel warps, twists and produces creaking noises. The truth is that steel does not warp, twist, bend or expand and contract. Steel frames actually remain straight and true, are stronger and more durable and are perfect for plasterboard application, unlike timber. It is also widely known that timber can rot, become infested with termites, be susceptible to mould and has a big impact on the environment. When timber expands and contracts with the temperature changes this affects the plasterboard inside the home causing cracks. Steel frames and external cladding provide a much better thermal efficiency than timber and double brick construction, meaning that cooling and heating of a home constructed from steel frames costs less than it would in a timber framed home with double brick exterior. Steel framing being more durable also means the home is more resilient to storms and high winds and this is particularly useful in building two storey homes which are affected more by strong winds than single storey homes. Great Living Homes has 2 storey house plans to suit a wide range of lifestyles and families. They can also explain to you in more detail the benefits of building with steel frame construction and they can offer a range of options for your new home. Timber frames and brick, timber frames for the lower level and steel frames for the upper level or steel frames and cladding for the entire job- the choice is yours!